Outdoor sitting rooms are predicted to take the exterior design market by storm in 2018. Whether full outdoor kitchens or simple, garden dining areas, this trend is catching on among homeowners from coast-to-coast. 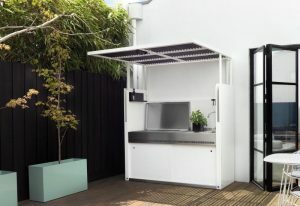 The disappearing outdoor kitchen is currently a popular option. This type of kitchen is a compact, freestanding, tilt model kitchen, featuring a workspace, utensil shelf, sink and stove top, all of which can be hidden under a fold-down cover that sets at the edge of a patio or deck. One may also opt for a simple patio set and gas grill surrounded by trendy plants and flowers. Having healthy, organic foods on the table each day is easy for homeowners who add their own edible garden to the landscape of their dwelling. Creating an organic garden simply requires the proper water, light and soil conditions, as well as a bit of research on which plants are most appropriate for the region in which the homeowner lives. When this is accomplished, healthy cooking with herbs, vegetables, fruits, berries and edible flowers are only a few steps from one’s back door. Although most gardens and landscapes are designed for aesthetic appeal and convenience, there is no reason why one cannot also meet the needs of local wildlife without detracting from the beauty of his or her property. From English gates to contemporary trendy models, a new garden gate can enhance essentially any landscape. Not only does such an addition boost curb appeal–as fences and gates are one of the first thing visitors see–the gate’s design also immediately indicates the personality of the home’s exterior theme. From modern to rustic styles, gates are showing more personality than ever before, and for this reason are one of the top 2018 landscaping design trends. Water elements are trending in 2018, as fountains, ponds and zen-style balanced stone creations instantly add a unique touch to any garden. Those who prefer a sleek, contemporary fountain, should consider resin acrylic or fiberglass, as materials of this kind easily lend themselves to contemporary designs. Elliptical or spherical fountains are great options as well, particularly if one’s goal is a modern-style landscape. Whether rustic or contemporary, water elements go a long way toward making a landscape unique and showcasing the personality and lifestyle of the homeowner. Walkways featuring unusual tiles or stones have become increasingly popular over the past few years, and this trend has now exploded. 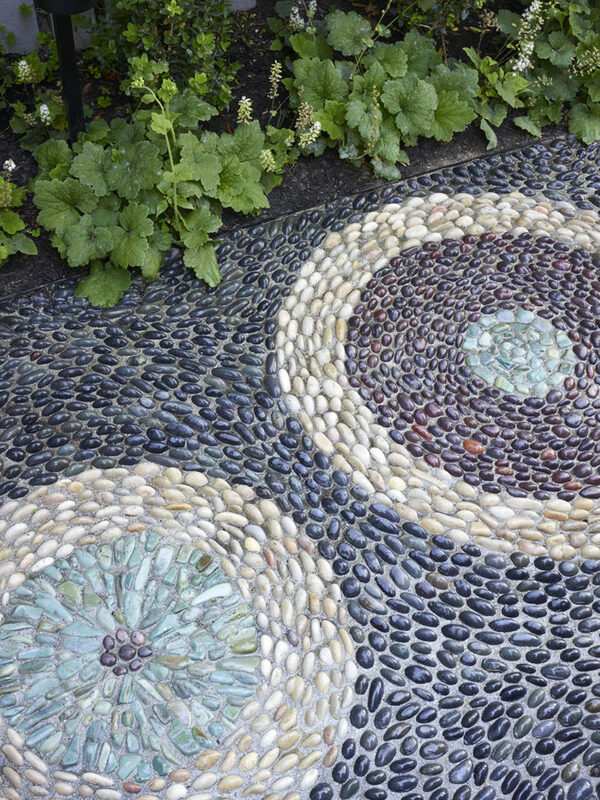 A pebble mosaic called “patterned risseu” has become a top option among many homeowners, as it instantly adds beauty and charm to virtually any landscape. Other popular options include Chinese garden stone and rustic porcelain. Because there are so many options from which to choose, homeowners are wise to comparison shop and consider various styles and patterns when planning such a pathway, as this ensures satisfactory results. 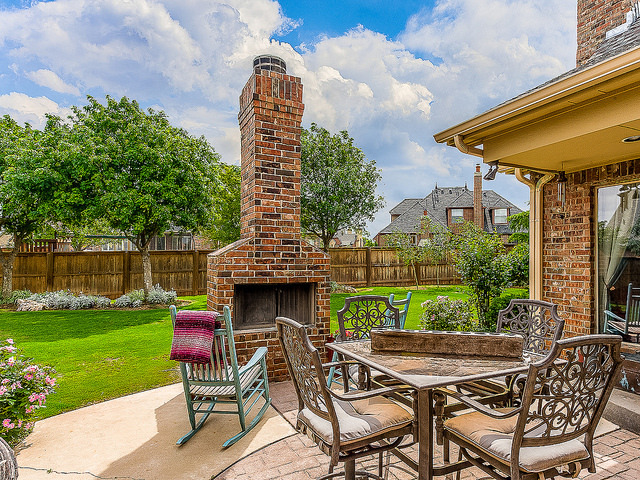 In keeping with the 2018 trend of al fresco dining, many homeowners have found outdoor fireplaces appealing. One can opt for a traditional outdoor fireplace to go with a trendy patio kitchen or create a rustic fire pit with a simple boundary of stone or bricks. 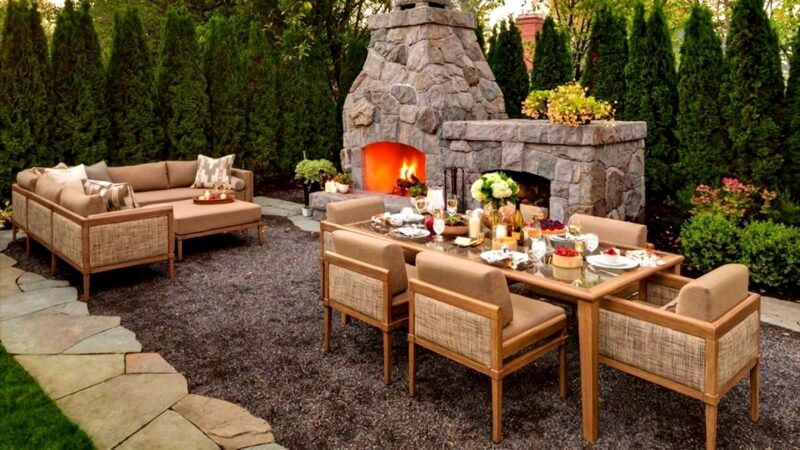 Regardless of the style chosen, the warmth of a blazing fire is a beautiful addition to any landscape. Even fire logs can become part of the landscape design when decoratively stacked and surrounded by potted plants. 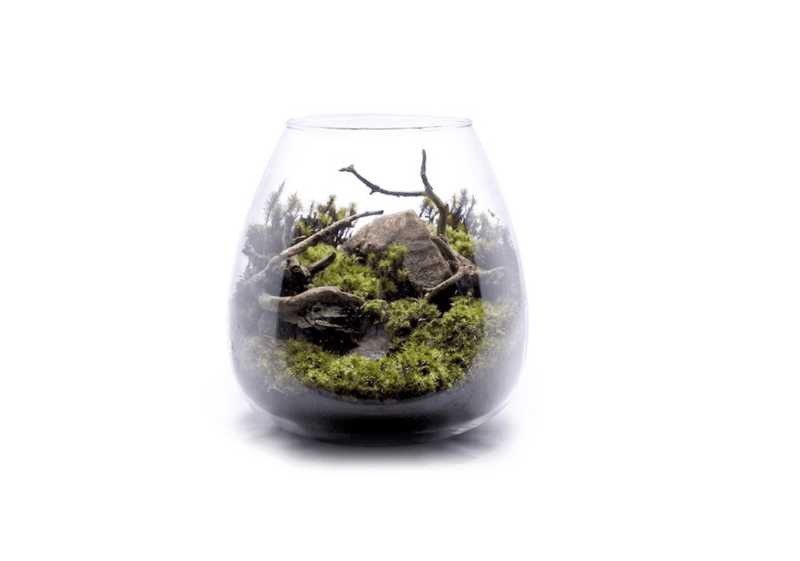 Because moss is a botanical that loves high humidity, but can survive in relatively low light levels, it is perfect for outdoor terrarium life. In 2018, moss takes center stage among showier plants, such as bromleliads and ferns. With a virtually limitless number of container choices, homeowners can find a variety of ways to show off this simple, beautiful plant and add a natural, unique touch to a garden. Whatever the size of one’s property, the ideal environment can be created to reflect his or her personality and lifestyle and the 2018 landscaping design trends outlined above are great place to begin. 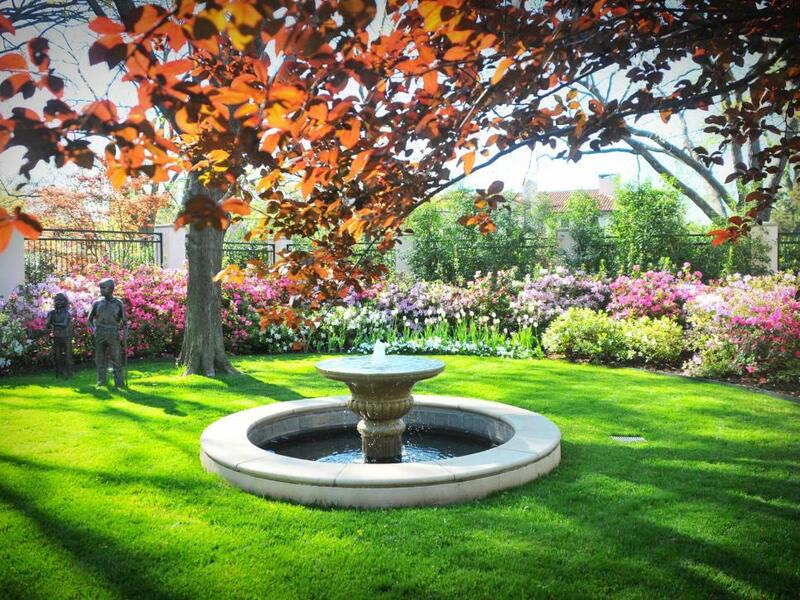 Any homeowner who is ready for a beautiful new landscape should contact Heffner Landscaping to make his or her dream a reality.